The job of CIO is becoming increasingly difficult as we move further into the 3rd Platform era. Pressure to keep costs down, maintain a consistent infrastructure, and to innovate has left many CIOs flat-footed, playing a catch-up game trying to integrate new innovations rather than driving them. A new International Data Corporation (IDC ) study, The Changing Role of IT Leadership: CIO Perspectives for 2016 (Doc #US40662915), examines CIO and line of business (LOB) executive perceptions of IT, the changing role of IT leadership from being an operational player to a strategic partner, and how to leverage IDC's Leading in 3D framework to thrive in digital transformation (DX). According to the new study, based on results from IDC's 2015 CIO Sentiment Survey and LOB Sentiment Survey, the way in which CIOs view themselves has a direct impact on how they view the job in which they function and their relationship with LOB executives. Of the 150 CIO respondents, 40.7% viewed themselves as operational, 34% viewed themselves as service managers, and 25.3% viewed themselves as innovation officers. Conversely, 40.9% of LOB respondents view their CIO as an innovation officer, with only 27.5% viewing their CIO as operational. This is indicative of the challenge that CIOs face in evolving their role, where having to meet operational requirements is holding some back from meeting the new expectations of their business counterparts. "CIOs who stay operational will find themselves further marginalized over the next three years. For these executives to stay relevant, they must shift their focus to transformation and innovation and incorporating those innovations into their stable infrastructures. 'Just keeping the lights on' will lead the business to find other sources for technology leadership and innovation," said Mike Jennett , Vice President of Research for Enterprise Mobility in IDC's IT Executive Program . According to the new report, there are interesting correlations between how CIOs view themselves and how they view their main area of focus. 67.2% of operational CIOs will be focusing on innovation, while only 26.3% of innovation CIOs will put their focus there. 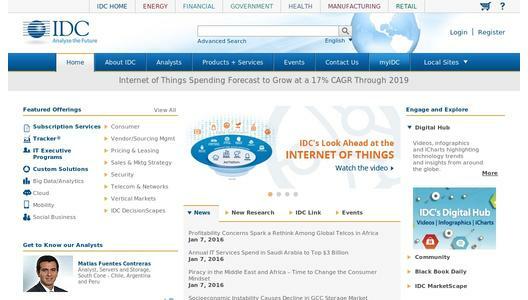 As a result, IDC concludes that operational CIOs are getting the message. To be competitive in this rapidly changing environment of digital transformation, the IT organization and the CIO must undergo a transformation from a focus on operations and service brokering to a focus on partnership, innovation, and new, digitally-enabled products and services. "Our research notes a fundamental shift in the role of CIOs as seen by themselves and the business because of the 3rd Platform and digital transformation. While many CIOs have embraced this change, there is still a large percentage that will benefit from evaluating their organizations as well as their relationship with their business counterparts as they continue on this journey," concluded. Jennett. For additional information about these new IT executive reports or to arrange a one-on-one briefing with Michael Jennett, please contact Sarah Murray at 781-378-2674 or sarah@attunecommunications.com . Reports are available to qualified members of the media. For information on purchasing reports, contact insights@idc.com ; reporters should email sarah@attunecommunications.com .